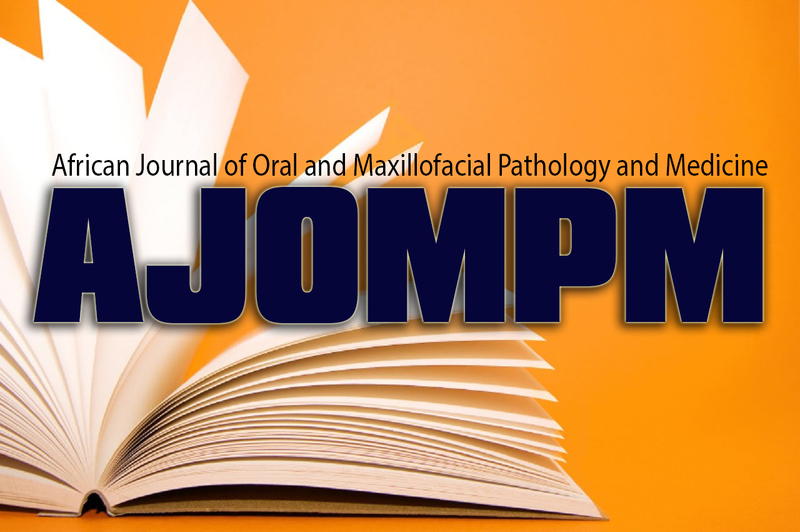 This current issue of the African Journal of Oral and Maxillofacial Pathology and Medicine (AJOMPM) consist mostly of the research work presented at the 2nd Conference of the IAOP- African held in Ghana in August 2017. The manuscripts published are in line with the journal’s aims to provide our readers with current research findings that will impact positively on the practice of Oral and Maxillofacial Pathology/Medicine, Forensic Odontology, Oral Biology and Oral/Maxillofacial Radiology worldwide. The journal manuscripts include recent researches on the diagnosis of orofacial cancer in younger age group, pigmented oral lesion in sero-positive HIV patients, a review of ameloblastoma in a Nigerian population, and records of lip imprint for diagnosis and forensic analysis. In addition, some interesting case reports of salivary gland tumours were presented in the journal for our readers. 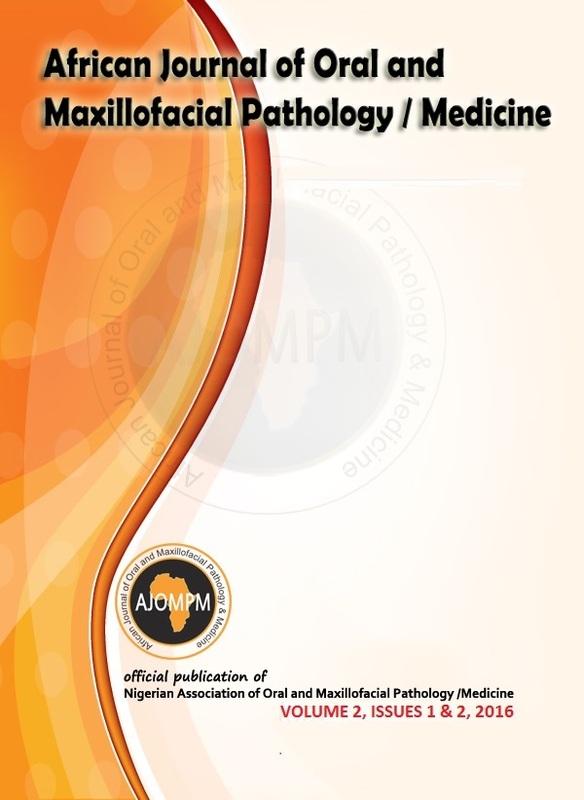 The third and fourth issues of the African Journal of Oral and Maxillofacial Pathology and Medicine (AJOMPM) have been published together as volume 2 issues 1 and 2, 2016. The journal aims to continuously provide our readers with current research findings that will impact positively on the practice of Oral and Maxillofacial Pathology/Medicine, Forensic Odontology, Oral Biology and Oral/Maxillofacial Radiology worldwide. The third issue of the journal (Vol 2, Issue 1, 2016) focuses on recent researches on the diagnosis of orofacial lesions, including rare parotid and maxillary tumours, salivary gland tumours in unusual sites, periapical infections and management of psychological halitosis. odontogenic infection and some interesting case reports that could not be jettisoned are presented in the fourth issue of the journal (Vol 2, Issue 2, 2016). These research contributions presented in these current issues of the journal are from specialties in areas subscribed to by the journal. Happy reading.